The United Nations General Assembly proclaimed 2 November as the ‘International Day to End Impunity for Crimes against Journalists’ by the General Assembly Resolution (A/RES/68/163) adopted in 2014 in commemoration of the assassination of two French journalists in Mali on 2 November 2013. This landmark resolution condemns all attacks and violence against journalists and media workers. It also urges the UN Member States to do their utmost to prevent violence against journalists and media workers, to ensure accountability, bring to justice perpetrators of crimes against journalists and media workers, and ensure that victims have access to appropriate remedies. It further calls upon States to promote a safe and enabling environment for journalists to perform their work independently and without undue interference. 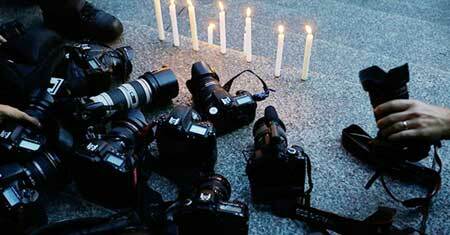 On this day the question comes into mind, how safe are journalists in Bangladesh? On the heels of the Digital Security Act, which was put into effect on October 8, the Cabinet has recently approved the draft Broadcast Law 2018, which if enacted will allow the government to jail a person for giving “misleading and false” information on a talk show. Probably, we don’t have a high number of killings of journalists, but in terms of threat and physical assault, there is little doubt that we remain one of the top countries on the list. Furthermore, when it comes to impunity for crimes against journalists, we rank poorly. According to CPJ’s 2018 Global Impunity Index, which ranks states with the worst records of prosecuting the killers of journalists, Bangladesh has been ranked 12. While Somalia, Syria, and Iraq are the top three countries, in Asia, the Philippines is at 5, Afghanistan at 6, Pakistan at 9 and India at 14. In Bangladesh, very few cases of crimes against journalists have been resolved, some taking over a decade. The most exemplary case that has not progressed is the killing of journalist couple Sagar-Runi. Meherun Runi, senior reporter of private TV channel ATN Bangla, and her husband Sagar Sarowar, news editor of Maasranga TV, were murdered on February 11, 2012. Immediately after the incident, then home minister Sahara Khatun said the killers would be arrested within 48 hours. Police officials claimed at the time to have made “significant progress” in the investigation. Rapid Action Battalion (RAB), which has been probing the case for almost six years after the Detective Branch of police failed, has also failed to make progress in finding the perpetrators. They have deferred submission of the probe report 57 times. Threats, physical attacks and other forms of harassment are very common for journalists in Bangladesh. Along with killings of several online activists and citizen journalists, numerous attacks on journalists have taken place in the last few years. Because no significant progress has been seen in any of these cases, this gives the perpetrators a green signal to continue these crimes. 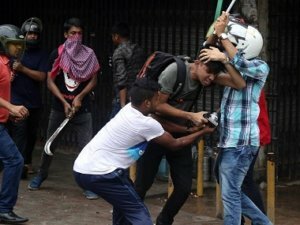 While covering the protests of the students calling for road safety, on 5th August 2018, at least 23 media workers were attacked, beaten, and assaulted, their cameras smashed, and vehicles vandalized in a targeted attack allegedly by the cadres of the ruling party’s student wing, armed with sharp weapons and rods, many wearing motorcycle helmets. Several photographs show that the police were not far away when the attacks took place. Despite repeated assurance from the ministers, none of the attackers have been arrested. Journalists working in rural areas are more at risk of physical attack, such as the attack on journalist Masud Alam after he reported a corruption story. The brutal attack was carried out on 28 March 2013 when a criminal gang with political links to the ruling party indiscriminately beat him, resulting in the fracture of and permanent damage to his left hand and left knee. He sustained several other injuries too, which have affected his ability to work. He is still undergoing treatment and has difficulties in walking. In response to the noise created by the media, the main accused along with his accomplices were arrested but got bail after few days. After bail, they kept threatening Masud, and on 28 May 2016, he was again attacked. Luckily police rushed to the scene and rescued him, but they failed to arrest anyone. As a result, Masud continues receiving death threats from unknown callers. Along with killings and attacks, legal harassment is another common scenario for Bangladeshi journalists. While laws and law enforcement look very weak when it comes punishing the culprits who commit crimes against journalists, law enforcement seems to work when journalists are the purported wrongdoers. The recent arrest of English daily The New Nation editor Mainul Hosein on October 22 for calling a woman journalist “characterless” on a live talk show may be cited as an example. Another example is Mahfuz Anam- editor and publisher of The Daily Star, who in 2016 faced 79 cases – 62 for defamation, 17 for sedition – even after expressing regret for publishing reports on uncorroborated corruption allegations against top political leaders. He was not arrested but had to crisscross the country to appear for court hearings in 50 of Bangladesh’s 64 judicial districts. To mark the 2018 International Day to End Impunity for Crimes against Journalists, the UN Secretary-General António Guterres said: “On this day, I pay tribute to journalists who do their jobs every day despite intimidation and threats. Their work – and that of their fallen colleagues — reminds us that truth never dies. Neither must our commitment to the fundamental right to freedom of expression.” However, for many journalists like Masud Alam, punishing the perpetrators and ensuring justice is essential. Without that, journalist like him will never be out of danger—which is key to keeping truth alive. Sayeed Ahmad is a Human Rights Defender from Bangladesh.